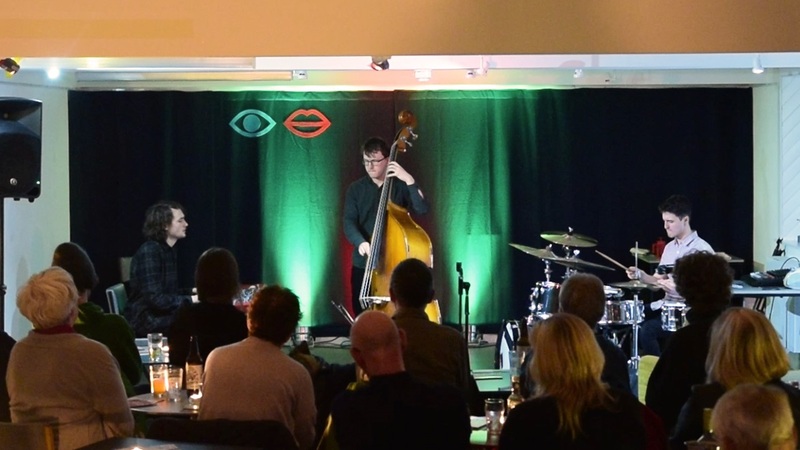 bebop spoken here: The Fergus McCreadie Trio @ the Eyemouth Hippodrome – March 31. The Fergus McCreadie Trio @ the Eyemouth Hippodrome – March 31. Fergus McCreadie (piano); David Bowden (bass); Stephen Henderson (drums). The remarkably talented Fergus McCreadie Trio captivated their audience at the Eyemouth Hippodrome on Saturday night with a selection of tracks from their debut album Turas. McCreadie’s compositions fuse jazz with the rich heritage of Scottish traditional music. Tracks inspired by a deep connection with people and places took us from steadfast Old Harbours to the wild open spaces of Mull. The dram at Ardbeg and the jazz-imbued raucous ceilidh from The Set setting many a foot tapping. As with recent weather, with all four seasons in the same hour, pieces included changes in tempo, rhythm and volume. McCreadie, Bowden and Henderson are each exceptionally gifted musicians. However, it was their intuitive understanding and complete trust in each other and the freedom, verve and spontaneity afforded by jazz that kept their audience spellbound and turned this performance into something extra special. At the end of the evening one of the Trio was heard to comment this was their best gig yet, the rapturous standing ovation at the end of their performance suggests this was a sentiment shared by many of us fortunate enough to have been there. Thanks to Paula and Ian at the Eyemouth Hippodrome for their warm hospitality.